Need something dug up or a huge hole created? Elkhart Landscape specializes in excavating. We’re happy to remove the earth for you in a careful and systematic way. We understand that this can be a sensitive topic, so everything is kept confidential. Excavating can be completed to help get many projects done. We have the equipment and know-how, so don’t be afraid to give the professionals at Elkhart Landscape a call today! ​​Elkhart Landscape For Excavation Services can provide cutting, digging, and scooping using advanced excavating equipment to complete landscaping projects correctly. Trenching is a hazardous construction operation that should be done by only highly skilled excavators. Our company crew members have been extensively trained in excavation and always place safety of clients and co-workers as a top priority. One service that our company an offer clients in excavation services is septic system installation. This is essential for the new construction of homes or businesses and we can offer our services to both residential and commercial or industrial business. Our excavation contractors are highly experienced in grading for drainage systems too. Other companies offer limited excavation services, while our licensed company can do it all. Our powerful excavating machine delivers excellent performance along with those skilled to operate them. 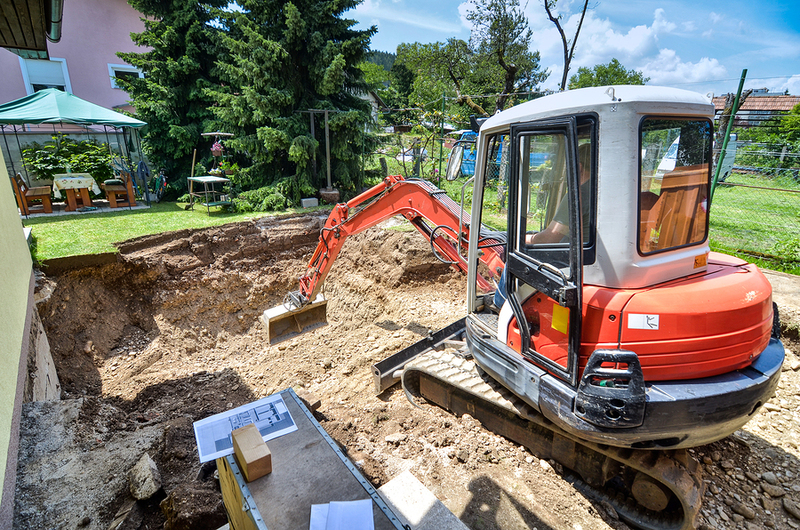 Excavating rentals can cost quite a few bucks, but you can save both time and money requesting our professional excavation services. We can schedule any client a free consultation to determine what type of excavating services are needed for the property. You may contact Elkhart Landscape For Excavation Services and get a free estimate or quote on service you request. These excavation prices can be sent to you online, by phone, or directly to your email inbox. By providing high quality excavation services to your landscape, you will be increasing the value and enhancing the appearance of the property. Our company is a leading heavy construction excavation service licensed and insured to serve you in your area and surrounding towns. We offer a variety of discounted excavation services to senior citizens. We offer customized excavation package deals for clients to choose from. All of our high quality excavation services we offer come with a complete guarantee that our clients will be satisfied with services and excavation products needed to complete their projects. We can schedule flexible and convenient appointments to arrive at your property and do the job efficiently. We offer a lot of resourceful information on how excavation may benefit your property. Sometimes excavation services are required to up date the property or modernize it, Excavation can make your property more sustainable and it is very essential in improving the environment as well. Irrigation system installation may require excavation services and Elkhart Landscape For Excavation Services offers the highest quality and professional excavating services to clients and you will not find another company that can beat our high quality work at such an affordable price. If you want an excavation job done right, then you have come to the right place for the best excavation jobs. Our contractors can do excellent grading, cutting, deep digging and scooping using the right excavating equipment, tools, products, and safety measures. Elkhart Landscape For Excavation Services is your best choice for improving your property, drainage systems, irrigation systems, septic systems, and more. Get it all in place to save yourself valuable time. Elkhart Landscape For Excavation Services customer staff are waiting to take your call now.